A retrospective review was conducted from the inpatient and outpatient records of twenty-two autistic youth presenting to a neurobehavioral service over a twelve-year period for combined psychiatric and behavioral pathology who also met DSM5 criteria for catatonia. 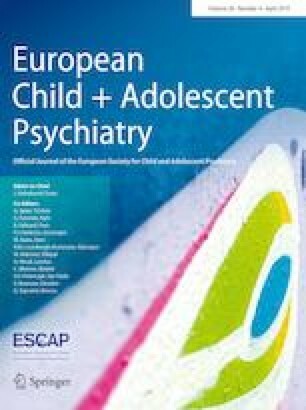 Six autistic girls and 16 autistic boys ranging from ages eight to 26 years old were identified, and their variegated symptoms evaluated. Stereotypy, posturing, negativism, mutism and stupor were the most common catatonic symptoms, each present in more than half of the study patients. One patient had abnormal vital signs indicative of malignant catatonia. Twenty patients had concomitant repetitive self-injurious behaviors that had led to significant tissue injury and were refractory to psychotropic and behavioral interventions. The sample was weighted towards patients with severe self-injurious behavior, which often was the reason for admission. The many “faces” of catatonia in autism spectrum disorders are seen in this sample, and the novel recognition of repetitive self-injury as an under-recognized motor symptom of catatonia is highlighted. The preliminary findings in this study open many important future vistas for ongoing research regarding catatonia in ASDs. The author would like to thank Max Fink, MD and Edward Shorter, PhD for their invaluable and extensive mentorship, and the patients and their families who have so generously shared their stories. The author hereby declares no conflicts of interest or necessary disclosures.